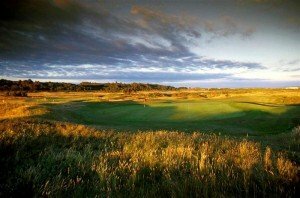 Created in combination with the best of links course ingredients and the expertise of Braid, McKenzie and Pennick, the Old course is an exceptionally demanding one and recognised as one of the sternest tests on the Open Championship rota. This course is perhaps most famous for its par 3 8th hole, the Postage Stamp, where veteran Majors champion Gene Sarazen got down in 1 and 2 on subsequent rounds of the 1973 Open Championship – a dramatic display of golf watched by millions on TV. The course is undulating in the classic links fashion but danger lurks in the guise of wind, rough and bunkers. This is a course which demands courage and a test of the mental aspects of golf. Royal Troon has hosted the Open Championship on 9 occassions, the most recent being in 2016, when Henrik Stenson became the Champion Golfer.